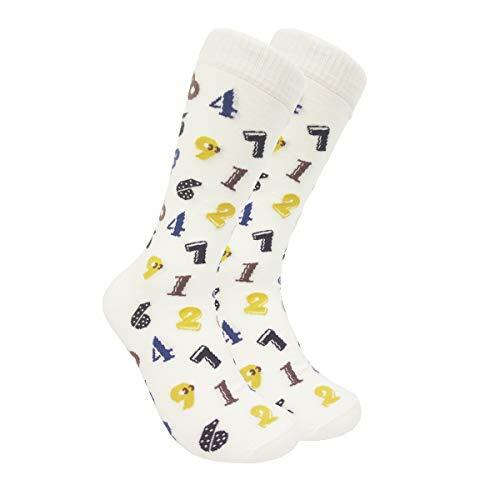 SUITABLE SIZE - Our womens socks are about 23 to 25cm,suitable for women US shoe sizes 6-11. 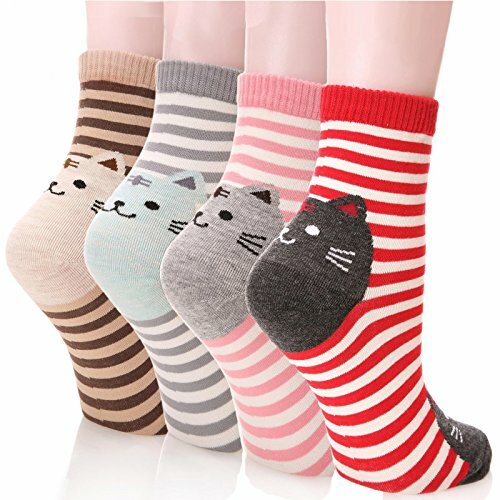 They are elastic and perfectly make it suitable for your feet. 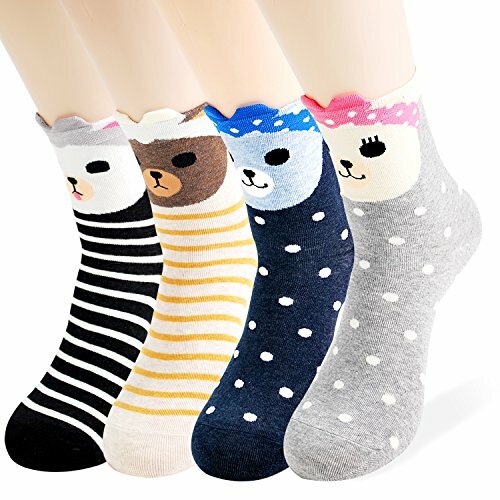 5 pairs casual socks with cute design, applicable to many occasions. 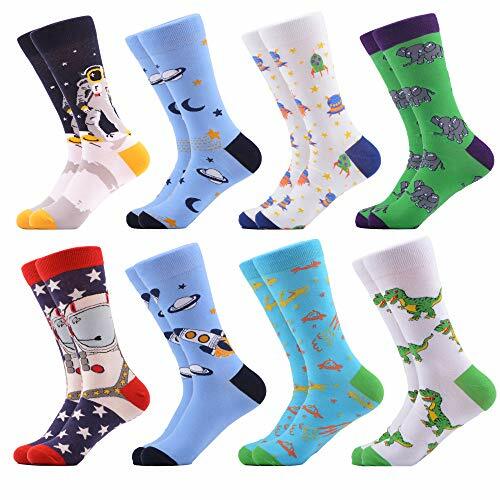 BEST VALUE - Come with 5 pairs funny cotton socks. 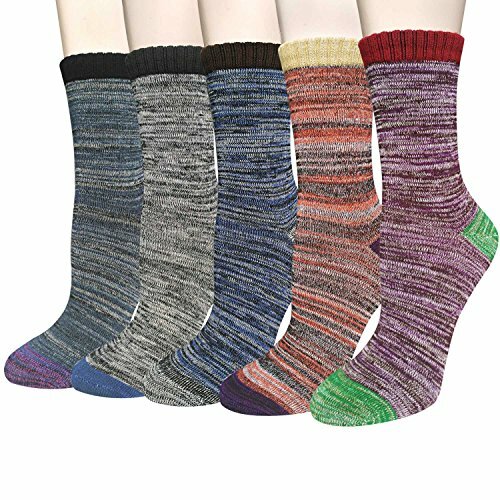 Unique womens casual socks lovely and concise design meet the double effect of fashion and comfort, brighten up those cool weather mornings with these snuggly socks to keep your toes completely dry and quite good. 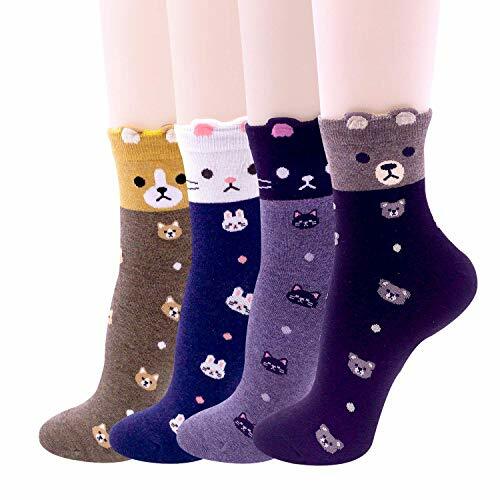 THICK & WARM: These high quality girls winter cute socks are made of 80% combed cotton, 15% nylon and 5% spandex. 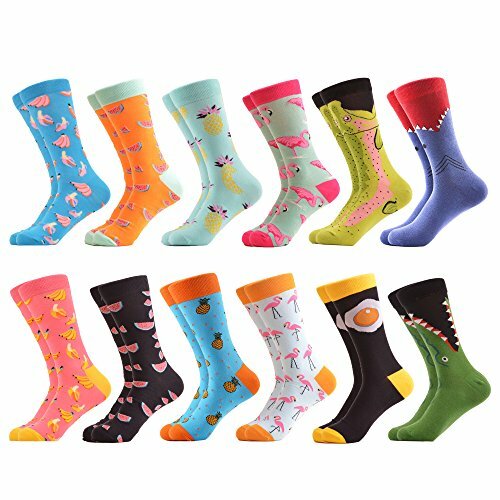 Kids thick winter socks are very breathable and durable, so they will keep children's feet comfortable and warm during autumn and winter. SEAMLESS & Y-SHARPED SEAM DESIGN: Comfortable cuff design has good shrinkage, so kids don't feel too tight and it's also easy to put them on. 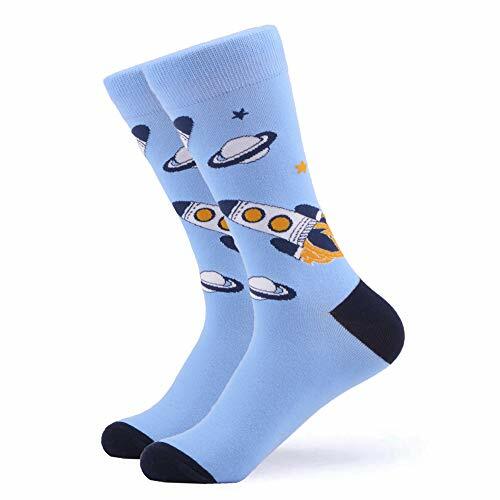 Seamless socks' toe is linked stitch-by-stitch to ensure a flat look. A Y-Shaped seam is knitted into the heel cup to provide you with a perfect fit. 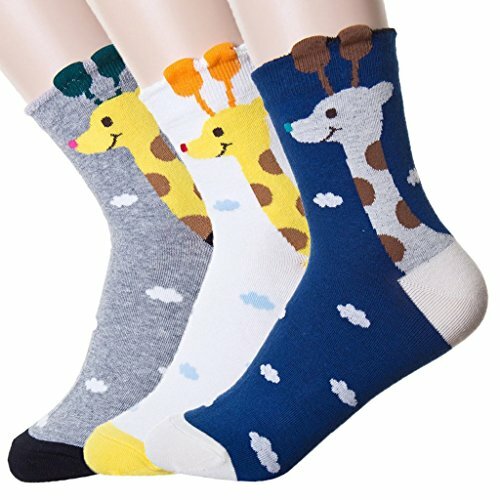 COLERFUL & GREAT GIFT: These colorful socks with lovely animal(Crocodile) can be chosen for your children as a birthdays or Christmas gift. 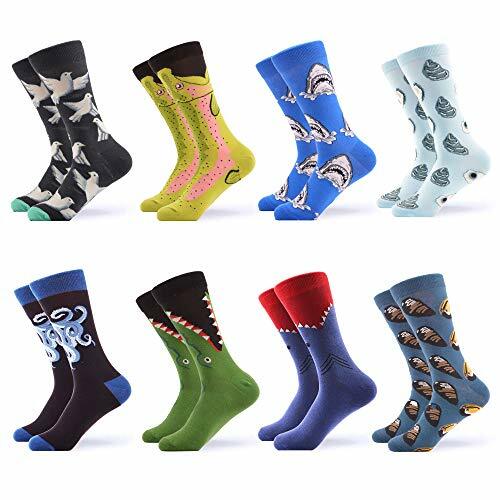 The winter cotton athletic socks make them the perfect choice for hiking, cycling, school and all kids' outdoor activities. NON-FADE: Hand and Machine washable. 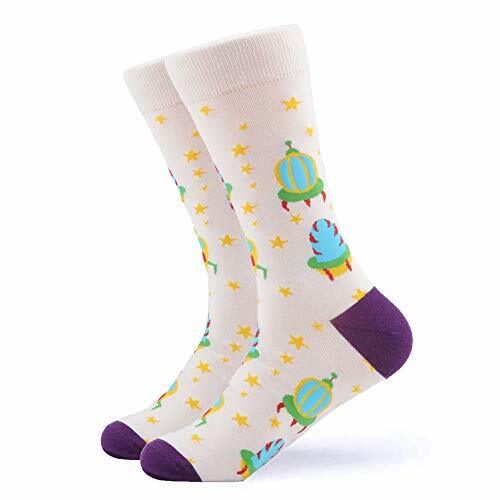 NOTICE: high content of cotton in the socks will be a little shrinking when washing it. After drying, it will keep soft and comfortable. 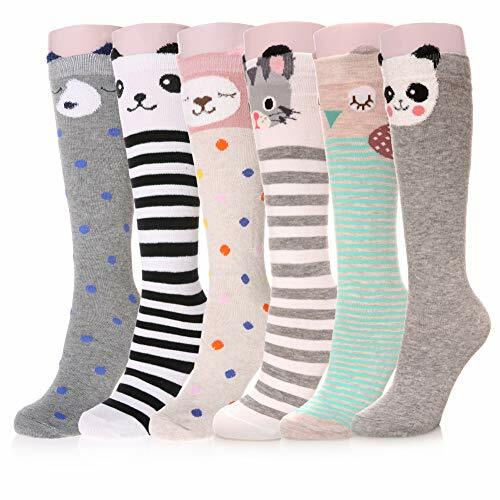 COMFORT & ELASTIC: Four size for choice : 2T / 3T / 4T Toddler Girls Socks; 4T / 5T / 6T Little Girls Socks; 6T / 7T / 8T Girls Socks; 8T / 9T / 10T Big Girls Socks; Soft fabric and high elastic material for striped socks to provide the right size. It is recommended to refer to the size of the shoe size. 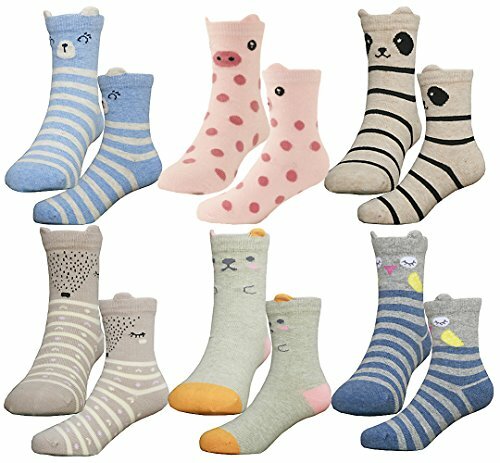 EXCELLENT QUANLITY - Our cute animal socks are made of made of 80% cotton, 15% acrylic, 5% spandex. Stretchy, comfortable, lightweight, wearable and sweat-wicking. Soft and gentle care for skin, let you feel comfortable all the day. 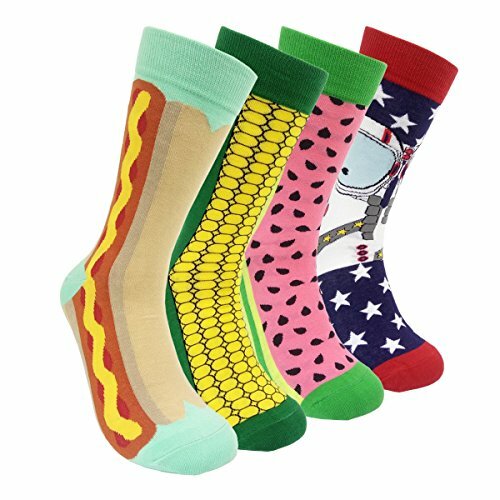 BEST VALUE - Come with 5 pairs funny socks. 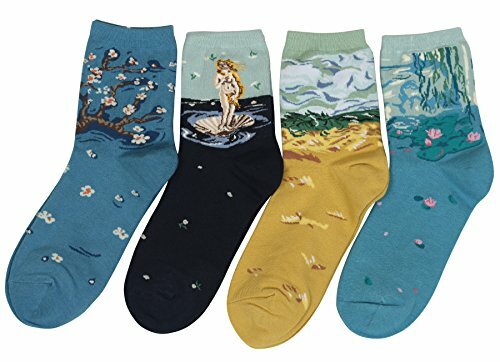 Unique womens cotton crew socks lovely and cute design is fashionable and attractive, brighten up those cool weather mornings, always keeps your toes completely dry and quite good. 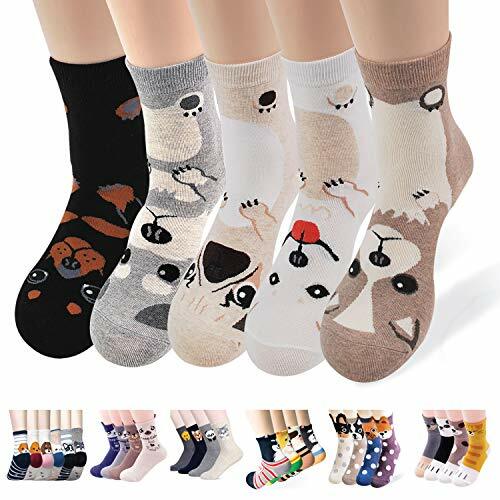 BEST VALUE - Come with 5 pairs funny animal socks. 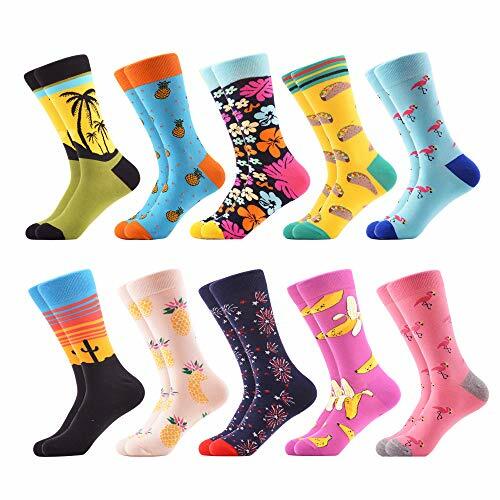 Unique womens cotton crew socks lovely and cute design is fashionable and attractive, brighten up those cool weather mornings, always keeps your toes completely dry and quite good. 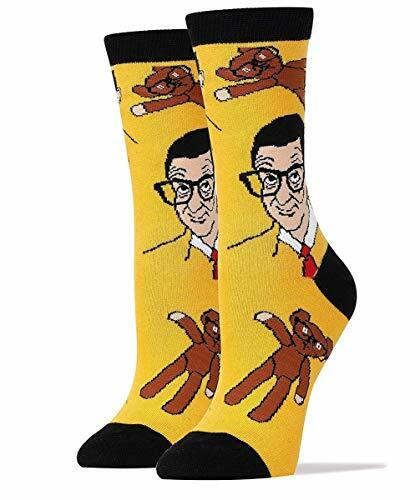 Funny pattern with soft socks will match most of wearing. 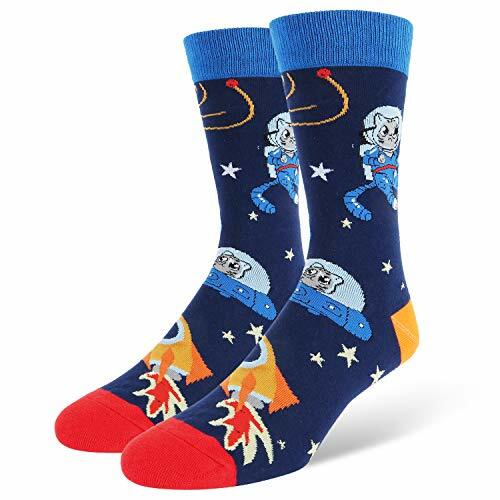 Show your socks to your friend and get their compliments .No need to worry about deformation or fading. 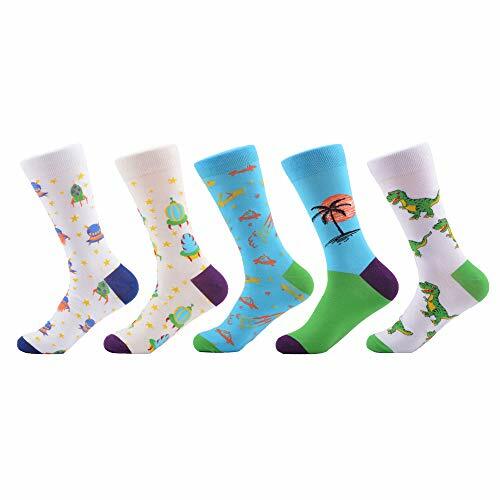 Whatever daily wear or holiday, they are perfect present for family members, friends and anyone you love. Your purchase is fully protected when you order today. 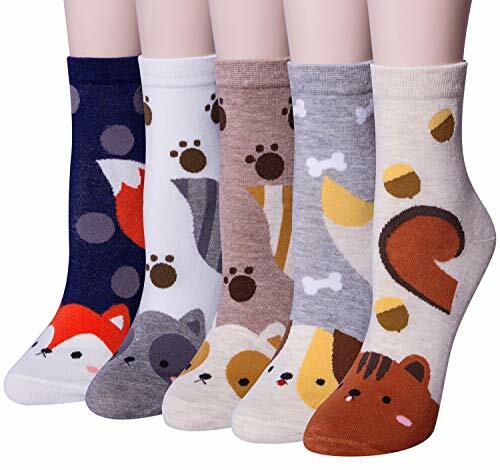 If you are not satisfied with your animal crew socks, contact us any time, we will get you back within 24 hours try our best to make things right! ORDER NOW! EUROPEAN MADE. 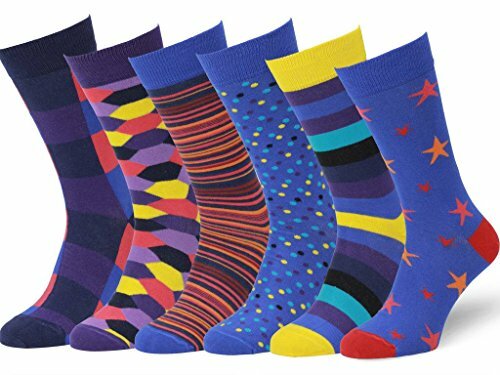 Our colorful dress socks for men are made in Portugal and Turkey with European made yarns and the finest craftsmanship. 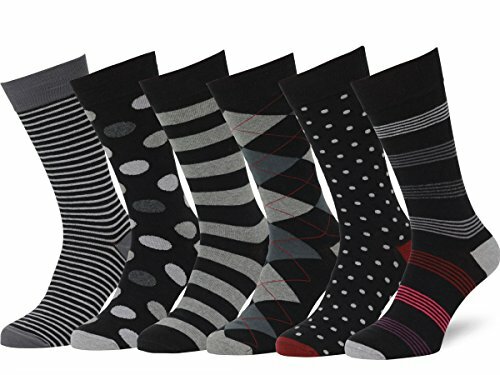 This 6 pack of Easton Marlowe men's dress socks contains six pairs of subtly patterned socks. 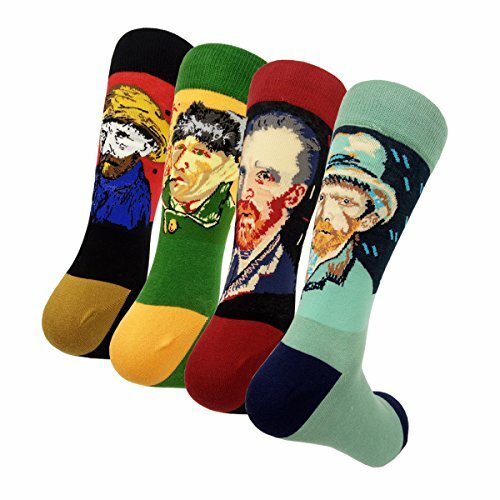 European quality socks. Made in Portugal. 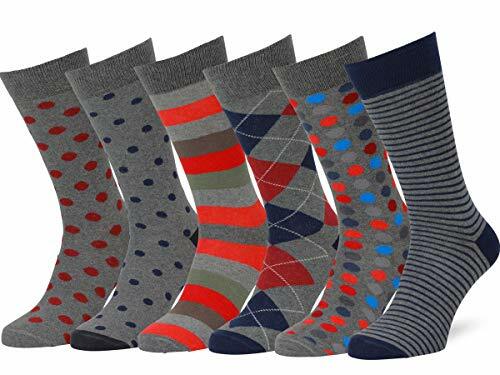 Our quality patterned dress socks easily compare to socks three times the price. We can guarantee you the best prices because we sell them directly to you! Finest combed cotton. Combed cotton fibres are combed so that the shorter fibres are removed and the longer fibres remain. Combed cotton is therefore stronger and softer to your skin than regular cotton. 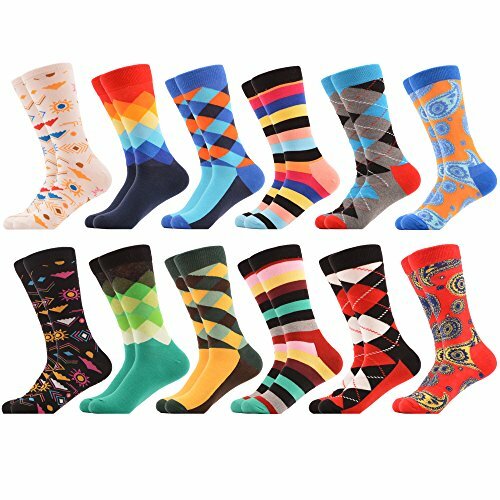 These bright and colorful men's dress socks make use of primary colors and other bright hues. 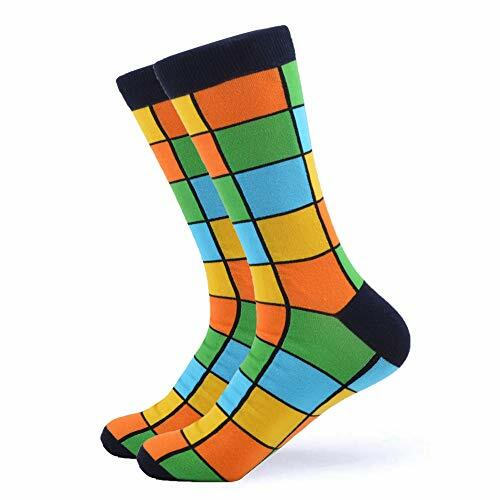 The designs you will find here are argyle socks, moustache socks, zebra socks, diamond socks, striped socks, zigzag socks, bow tie socks, music note socks, chevron socks and many more. Perfect for the office or casual environment. Add some color to your life! 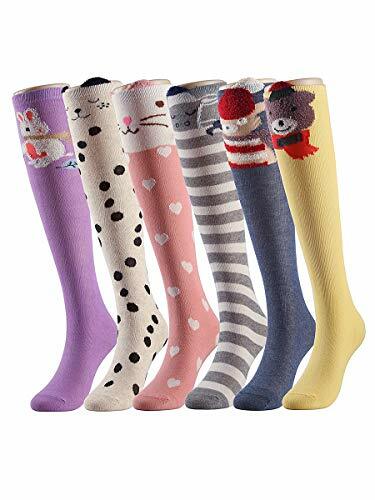 One Size fit Most: Women's colorful socks are approximately 23 to 25 cm, One size fits Most of Women's Size. Recommend for US women sizes 5 to 9. 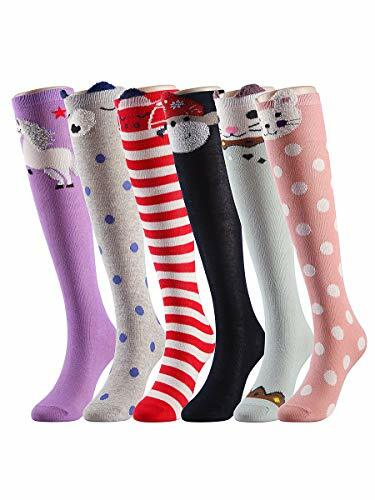 A set contains 3 to 6 Pairs of Socks. Cute and Sweet Design: Lovely and Stereoscopic Design is very Fashionable and Attractive, Brighten Up normal Daily Life to Special. 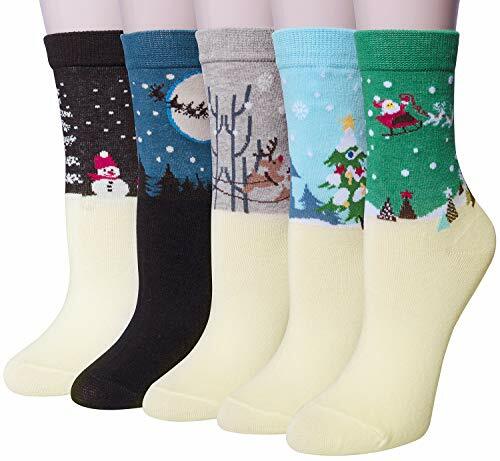 These nice socks always keep your toes completely dry and quite good. 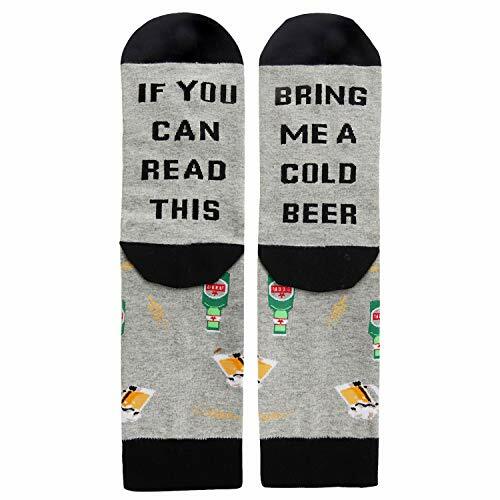 Excellent Gift Choice : Everybody needs more socks. 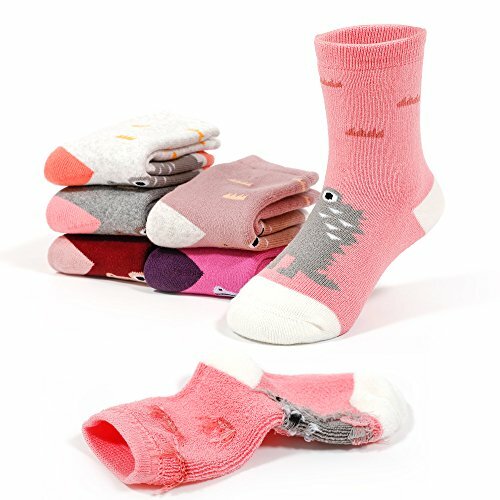 Women's Sweet Cotton Blended Socks will be the perfect present for hikers, outdoor walkers, office life. You Could also Choose for your girlfriend, daughter, wife, sisters as Birthday or Christmas Gift. 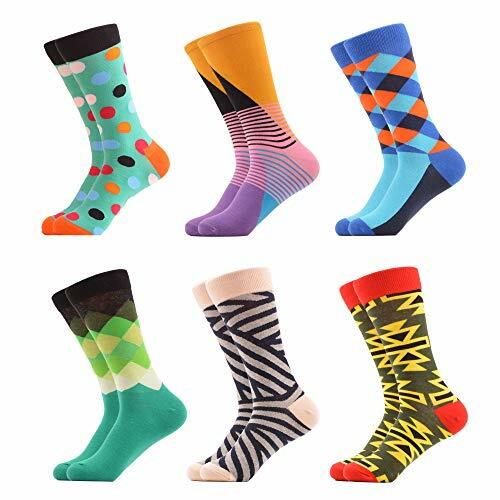 Multi-Function : They are high quality, elastic and enhanced cuffs hold socks comfortably. You can wear them at office, school, hiking, outdoor, sport, home, work for all Season. Risk Free Guarantee- Your Purchase will fully protected when you order today. 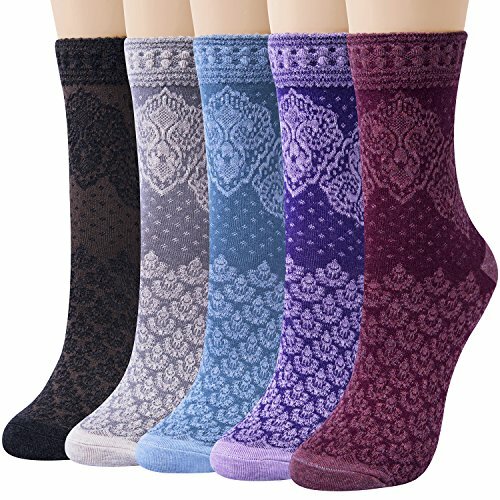 If you are not satisfied with your ladies socks, contact us any time, we will get you back within 24 hours try our best to make things right! Gift Seal Bag Package. 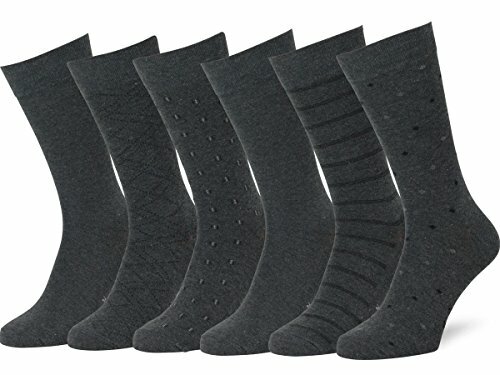 Pack of 4 Pairs. Size: Mens 6-11; Womens 7-12. 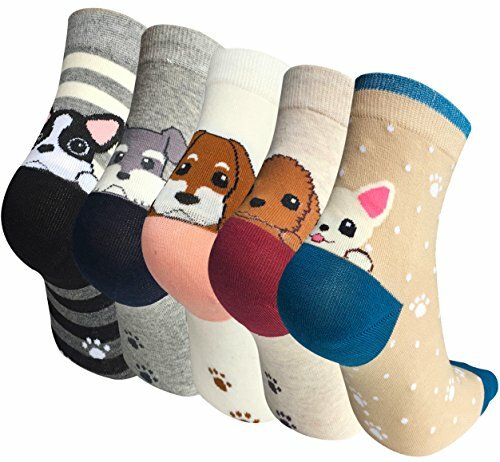 Unisex Socks. Suitable for all seasons, especially spring and autumn. Gift Seal Bag Package. Pack of 4. Size: Mens 6-11; Womens 7-12. 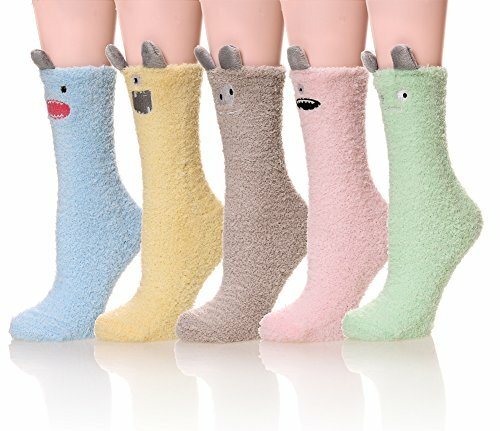 Unisex Socks. Suitable for all seasons, especially spring and autumn. UNIQUE GIFT FIT FOR ANY OCCASION: No matter what the occasion, Cinch! 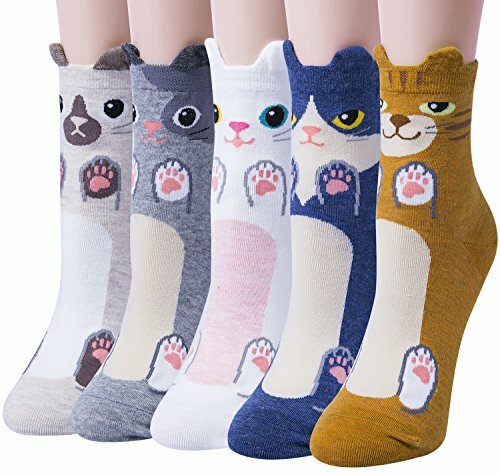 Art Cartoon Animal Cats Socks will be a hit! Get them for your wife, sister, coworker or any lovers in your life! They make a perfect housewarming, secret santa, christmas, anniversary, birthday present. 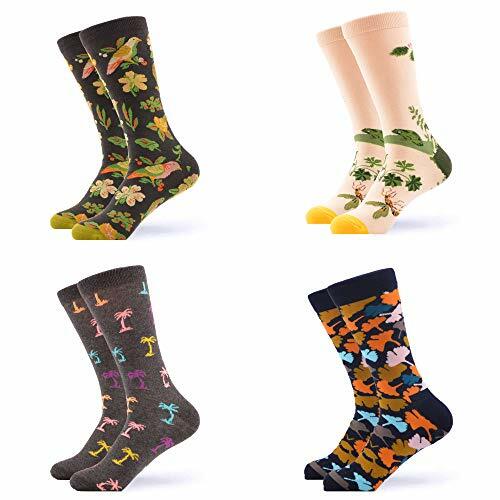 EXCELLENT GIFT CHOICE : Women's sweet Cotton socks make the perfect present for hikers, outdoor walkers, you also could choose for your girlfriend, daughter, wife, as birthdays, Christmas gift. 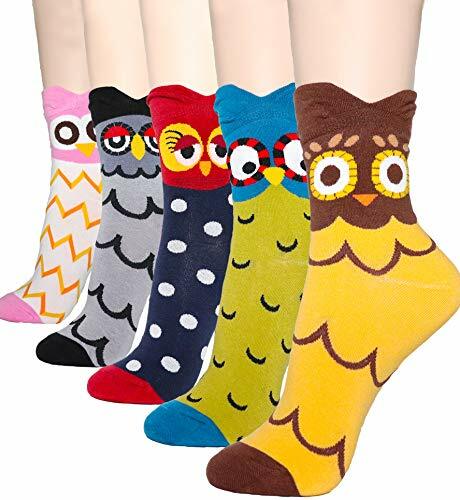 or as women, girls socks gift. 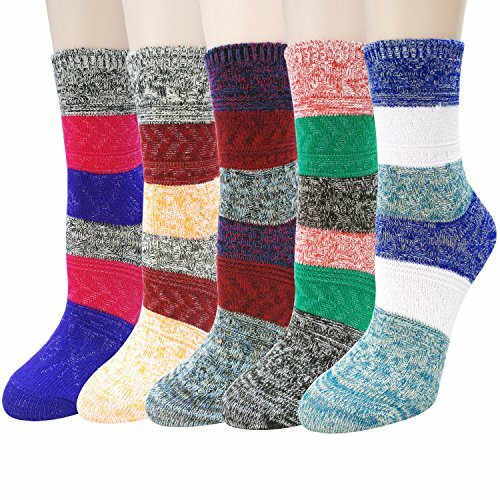 ONE SIZE FITS MOST: Womens colorful socks are approximately 23 to 25cm, one size fits all. 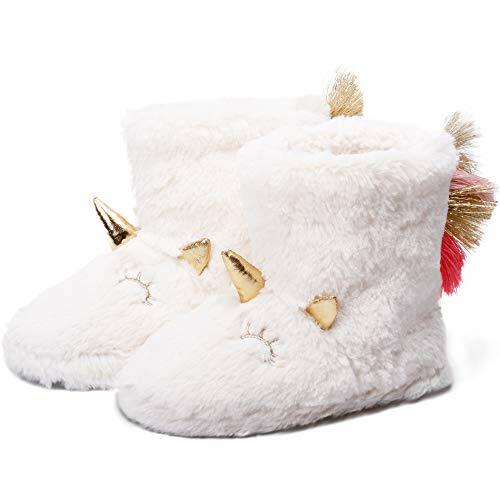 Suitable for US women sizes 5 to 8.5. 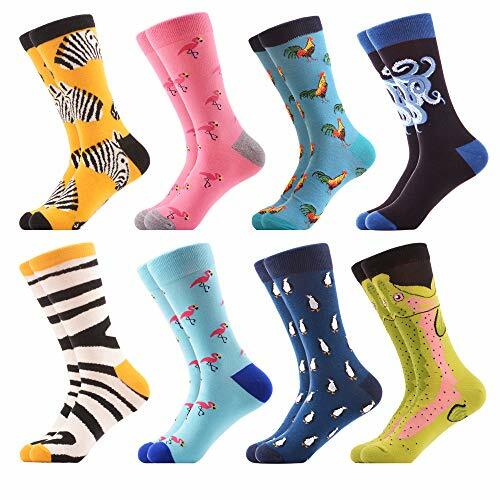 A set contains each pairs of socks as per the screen shot. GUARANTEED TO PUT A SMILE ON HER FACE OR YOUR MONEY BACK: We offer a 30 day money back guarantee and will do whatever it takes to make you happy with your purchase. We know timing is essential when giving a gift so please email us and we will take care. 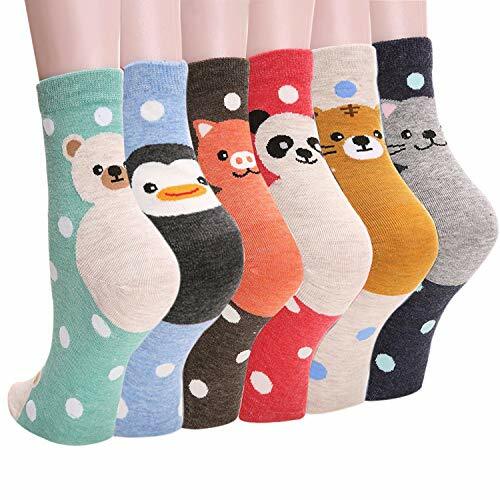 SUPER SOFT - High Quality Material£º98% Polyester , 2% Spandex .Super soft, fluffy relaxing feel comforts and warms feet for everyday activities and even during sleep in fall and winter; also wear chenille socks in air conditioned room in summer. One Size: 9-11 (Fit Women's Shoe Sizes 6-10). 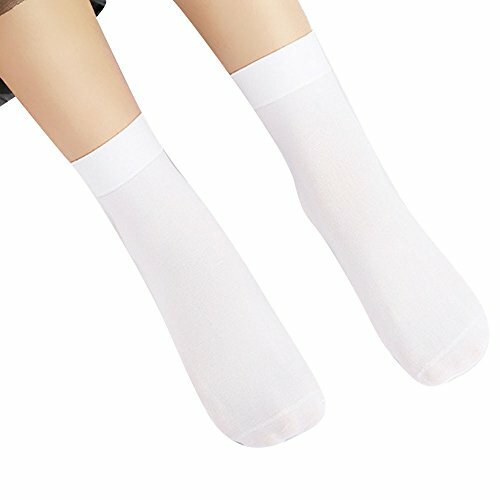 [HIGH QUALITY] The elastic bands at the ankle do not compress your legs giving you the best, comfortable wear experience for everyday activities and even during sleep. 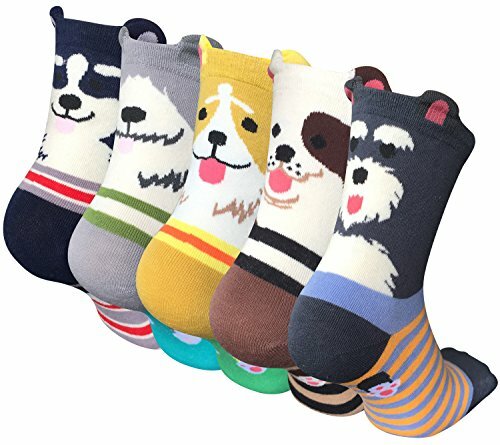 Very soft and plush socks made of premium Microfiber provide maximum coziness for your feet keeping them warm, soft and sweat-free. Machine Wash and Dry, Do Not Bleach, Do Not Iron, Do Not Use Softener, Tumble Dry Normal, Dry Clean and Solvent Except Trichloroethylene. SPECIAL DESIGN- full of great fun and joy. 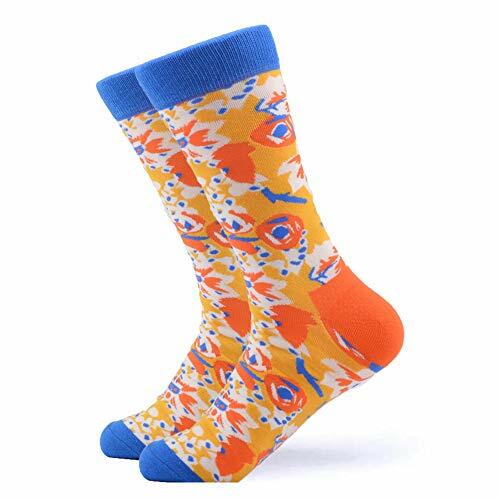 Soft and comfortable cotton fabric on your feet, accompany you around every corner, go on a trip with you and living your colorful life.